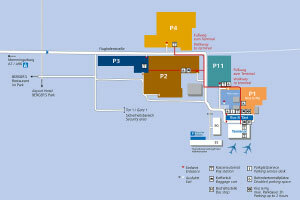 Also see other airports seeking this airport! 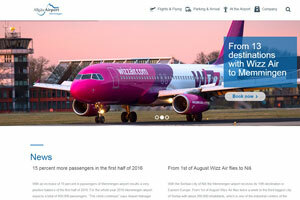 Ryanair, with one based aircraft at Memmingen Airport, now operates 25 routes; Wizz Air offers flights to 14 destinations and with Pobeda flights to Moscow. 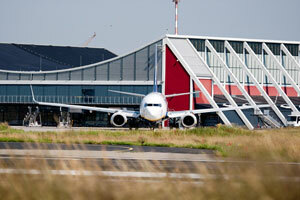 There is high potential for airlines to grow. A group of regionally active private sector stakeholders brought vision and financial resource to the Airports development (e.g. Dachser, Magnet Schultz, Pfeifer). 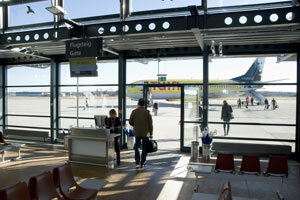 Today we have 76 shareholders, which all have a high demand to fly from/to Memmingen. 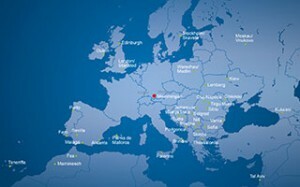 Memmingen Airport – completely financed and supported by 76 regional and private stakeholders, is the best alternative in Southern Germany, just 60 min driving time to Germany’s third largest city Munich and 80 min by car to the automotive capital Stuttgart. 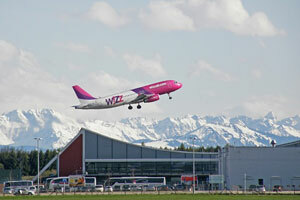 Memmingen Airport, the one and only regional airport south of the Danube with easy access to the Munich Metropolitan Area, offers one of the most attractive catchment areas to cover Southern Germany, Western Austria and Eastern Switzerland: 8.1 million Inhabitants within 90 min drive, 3.2 million inhabitants within direct reach of the airport and approx. 11.3 million within 2 hours driving time. Due to the great location at the motorway intersection A7/A96, there is an easy accessibility to the catchment area – by bus, train, taxi, rental car or express coach. 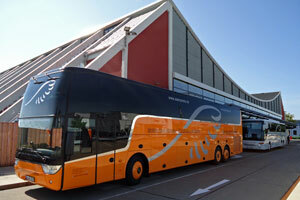 The Allgäu Airport Express Bus offers direct connections to the central railway station in Munich, Dornbirn, St.Gallen and Zurich. In addition, the catchment area offers also a prosperous economic region and therefore shows a high potential. 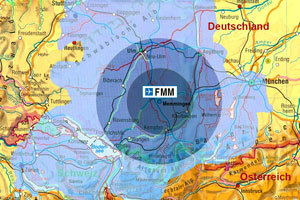 Memmingen and its catchment area is with its GDP 90 % above European and about 30 % above German average. Memmingen is the gateway to Germany’s largest tourism region and to some of the world most famous summer and winter sports regions. 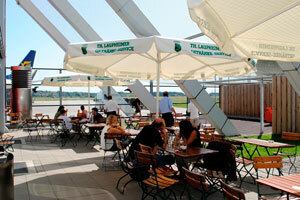 5 of 10 main Bavarian tourist attractions are situated within 60 minutes of the airport. 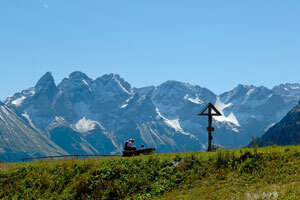 Tourists can visit the beautiful fairy tale castles (e.g. 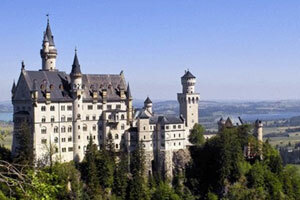 Neuschwanstein in Füssen, 45min drive) and spectacular scenery or attend varies sport activities (e.g. Golf courses, climbing courses). 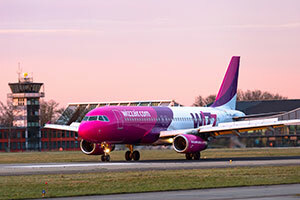 Memmingen airport offers a low cost structure for their clients but nevertheless excellent ground handling, security and customer service and further extremely competitive turnaround with 25 minutes on average. The airport shows an impressive reliability (99.6% with ILS Cat I and anti-skid runway) and a high load factor and passenger volume. But there is still a huge potential for expansion. Eastern Europe, the Benelux countries and Baltic states are still underserved. Cities like Vienna, Paris, Amsterdam, Copenhagen and Madrid are typical desirable destinations. 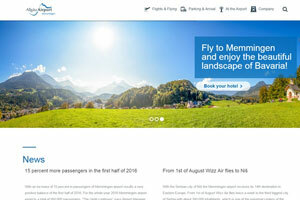 Allgäu's current routes and route marketing efforts. 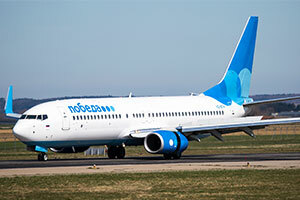 We offer individual marketing packages which are tailored to the needs of the airline to reach optimally the customers. 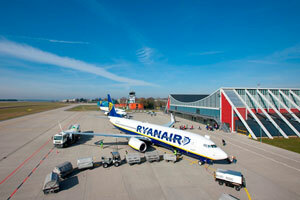 Allgäu airport serves one of Europe’s most heavily populated, affluent and actively industrial regions. Within 2 hours drive 11.7 million people live in our catchment area. 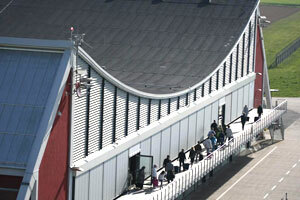 Opening hours daily from 06:00 – 22:00 local (arrivals until 22:30 local). The airport utilises beautifully converted military facilities that are expected to see traffic jump from 462,000 in 2008 to over 1,100,000 in 2017. 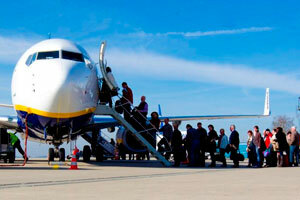 The airport’s expanding destination network attracts more and more passengers that make use of a wide range of parking facilities. We offer unusual commercial premises and premises for innovative companies looking for a special site. The former military buildings of the airport are ideally suitable for a prestigious office or a large storage area with unique flair.